Creating a successful campaign for personal digital archiving has been a big focus in weeks 4 and 5. Cue the Mad Men theme. Retirees: Many retirees already take up archiving as a pastime, I just need to get them thinking about their digital assets as well. 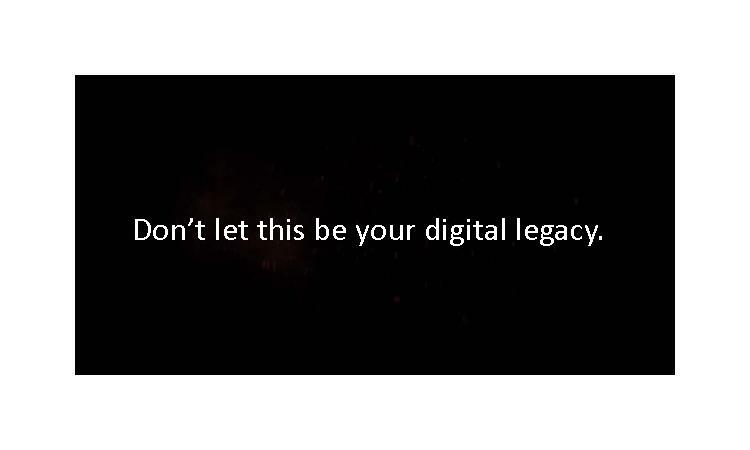 Topics such as digital estate planning should be popular. Example tile for a retiree audience. Self-Employed Professionals: Photographers, musicians, writers- anyone producing digital work without organizational support will care about curating it. They’ll want practical, straight forward steps and suggestions on specific tools and storage options in a range of prices. Example tile for 20-40s. 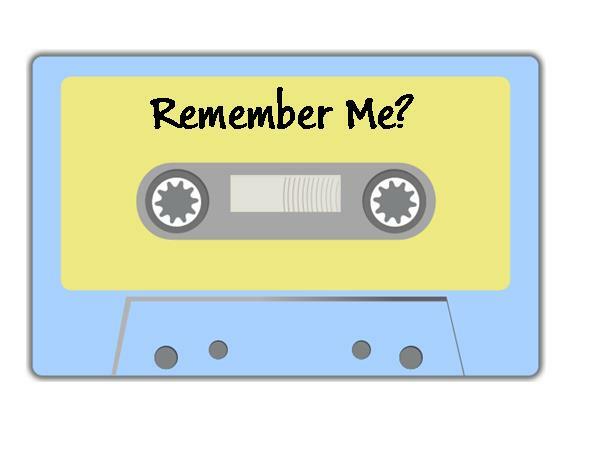 I was thinking of doing a “remember me?” series with different obsolete media (floppies, vhs, maybe myspace?). The 20-40s: Notoriously the most difficult group to get in the library door, they are also the biggest producers of digital material. When addressing this group it’s really important to make PDA hip and fun, banking on the nostalgia and DIY culture that’s currently in style. Topics such as archiving social media and smartphones might be engaging. The Communications Department also suggested making a list of “anchor events” that could be used as points throughout the year to ramp up messaging. Cushing (2015) as well as Calloway (2015) found that people think about archiving during times of transition and large life events, so appropriate anchors might be holidays, DC Public School’s graduation, and popular birth and wedding months. National campaigns such as Preservation Week and local events such as Foto Week will also be great opportunities to bludgeon people with best practices and strategies. 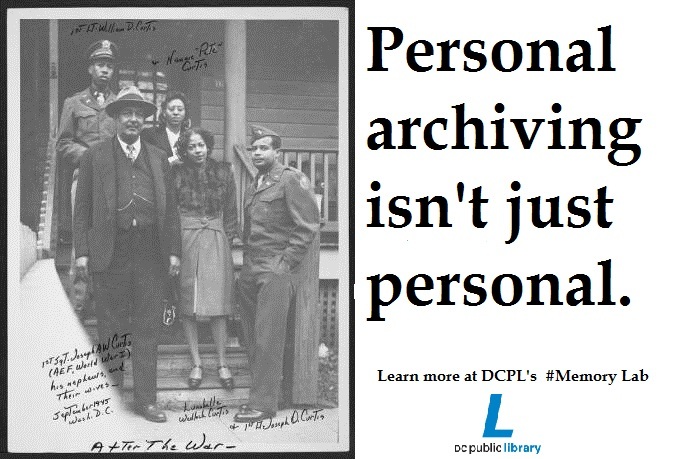 This concept inspired me to launch the digitization lab (which I’m thinking about calling the Memory Lab) during African American History Month as yet another way of using well-known events to help carry the campaign. Picture from the Joseph Owen Curtis Photograph Collection at DC Public Library Special Collections. Some of my opportunities to communicate have been less traditional, but given that I only have a year to get DC archiving, I’m taking every opportunity I can get. For the past 5 years, DC has had a Zine Fest to promote self-publishers and artists in the community making fanzines. In 2014 my colleague Michelle Casto created the zine “Maximum Preservation” on behalf of the library and DCPL’s punk archive to educate the public on preserving their physical papers. This time around, I’m working with Michelle to do “Maximum Preservation 2: Electric Bugaloo,” a zine to promote- you guessed it- personal digital archiving. So how do you communicate a big topic in 12 tiny pages? It wasn’t easy, and I realized that even when I thought I was making the language accessible, I was still dependent on an esoteric vocabulary built over my two years of graduate school. For any joe shmo off the street, the public librarians stressed to me, these words were not going to fly. 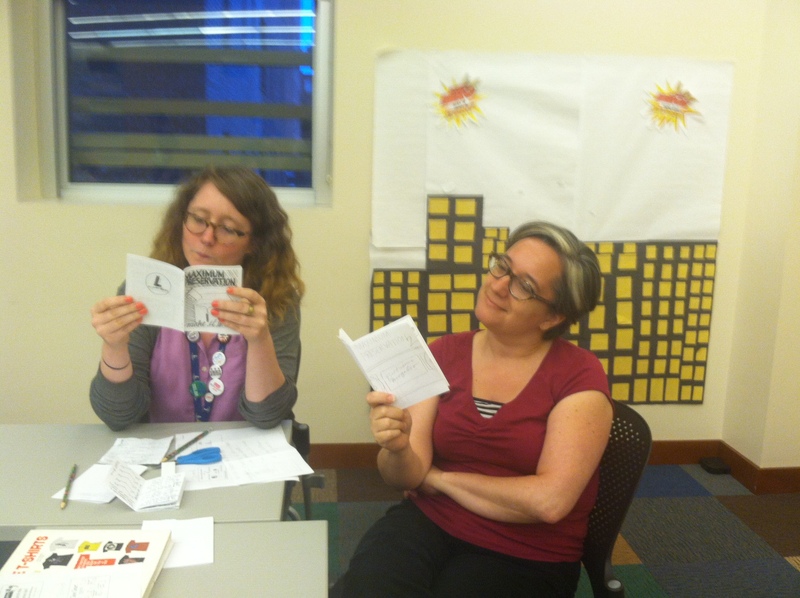 Librarians Michelle and Bobbi helping me make a zine at Mount Pleasant Library. Another more serious issue was committing to a set of best practices. Although a lot of the literature focuses on the process of identify-aggregate-describe-curate, I feel that aggregation is not a realistic option for many with the increasing variety and use of storage and production environments. Instead, I’m urging the public as a first step to create a “list” of each storage environment, and a macro-level (not item level!) description of what kinds of files they store there. Instead of the 5 year curation timeline, I’m advocating for users to make a PDA “holiday” and check-in on their files once a year, moving valuable files out of/off of obsolete environments and adding new ones if appropriate. If you’re curious about the finished product, I’ll be posting it here after Zine Fest on July 25th to the delight of Devo fans everywhere. If YOU feel like getting crafty and making your own zine for outreach, print out the template makeazine and go to town. We are using the slightly larger quarter page format, but this makes the more traditional 8 pager.